Some debts are more challenging to deal with due to special rules concerning non-dischargeability in bankruptcy, lack of statute of limitations, hold harmless clauses, and other issues. We have experience in resolving these type of debts using creative, outside of the box approaches combined with some traditional approaches. Call today to see how we can help. Washington Debt Law handles a very wide range of debt issues. However, some debts, require special considerations or out of the box techniques. For example, if you are in the military debts can impact your security clearance and can lead to discharge if it is revoked or for criminal fines they are generally non-dischargeble and for federal student loans there are no statutes of limitations per the Higher Education Act. If you are dealing with these sorts of issues, give us a call to see how we can help. While there are too many categories to list, the most common special debt issues are listed below along with the services we provide. Bankruptcy (Cooperative pre dissolution): If you and your soon to be ex are amicable and considering a no-contest or cooperative divorce, we can help by resolving the debts prior to dissolution. 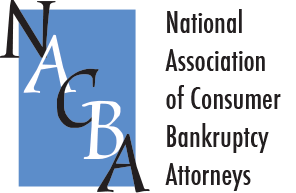 Bankruptcy (Prior to Trial): In low asset high debt cases and other situations, there are advantages in declaring a bankruptcy prior to trial so debts cannot be assigned to you and the offset of loss of assets are minimal. Collection of Family Law Related Debt Owed to you: If your ex spouse will not pay and DSHS will not help, we can. We can garnish wages, bank accounts, foreclose upon assets, and take other steps as necessary. Foreclosure Defense: If you were awarded the home and your ex is now trying to force a sale and partition, we can help defend against it. We can additionally help against other creditors, see our foreclosure defense page. Sale & Partition Actions When Ex Spouse Will Not Refinance or Sell: If your partner has not or will not sell or refinance within a year as required by the divorce decree we can help by forcing a sale. If your ex spouse is purposefully not paying the mortgage to push down the equity while keeping the cash, we can help with that too. Settlement of Debts Owed by you: If your ex spouse, DSHS, or another creditor is collecting or might collect, we can help resolve the matter by finding leverage and settling the debt. Strategic Consultation with you or your attorney During, Prior to, or After Dissolution: Some debts are not dischargeable and hold harmless agreements can make an otherwise dischargeable now non-dischargeable. Property settlements can be discharged while debts in lieu of alimony, maintenance, and support may not be. We can help consult with you and/or your family law attorney to try to bankruptcy proof your dissolution. Breaking leases: We can terminate leases obtained prior to entry to active duty or deployment to include auto, rental, and others.